Occasionally you come across an issue which bugs the hell out of you. Despite wanting needing to resolve it badly, you know it’s going to be a case of trial and error, and it’s going to consume a lot of your time. The other day I came across one these issues, and just as I suspected, the majority of an evening would be spent trying to resolve it. At both my current customer and here in HobbitCloud we use Puppet for our configuration management needs. Both platforms offer unmanaged and managed workloads, the latter employing Puppet Enterprise to reduce configuration drift. With the introduction of vRealize Automation 7.3, Puppet has become a first class citizen, enabling configuration management attributes to be dragged onto the blueprint canvass. After the initial configuration, it’s as simple as selecting your Puppet Master, environment and role. The vRO plugin had been installed, and the endpoint created correctly. However no matter what I tried nothing worked. 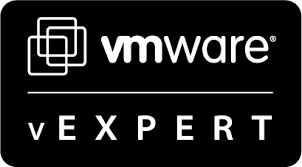 When I looked into the issue, there were plenty of fellow vExperts/bloggers who had managed to configure the Puppet endpoint without issue – so something was clearly different with my environment. TL;DR: make sure your account in vRA has the Tenant Administrator role when designing blueprints which use Puppet. If you’re interested in running Puppet Enterprise in your lab environment, don’t forget it comes with a free 10-agent licence. This is a great way to get to grips with the fully-functioning version of the product without spending thousands.